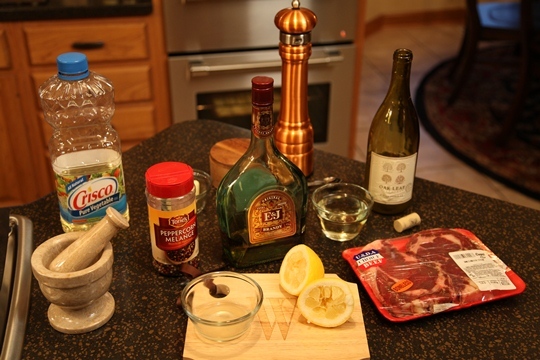 Rib Eye Peppercorn Steaks are super easy to make in less than 10 minutes. 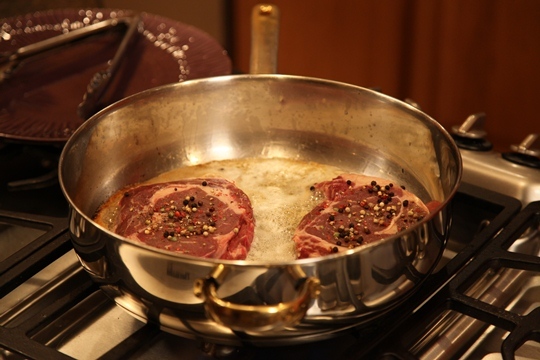 The steaks are lightly pressed with crushed peppercorns and then sauteed quickly in butter and oil. 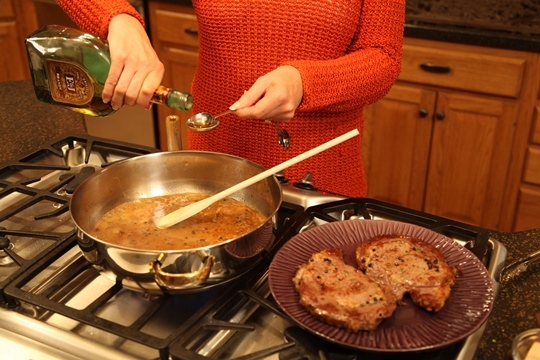 Then you combine white wine, lemon juice and a little brandy in the pan drippings for the sauce. So easy and so good! 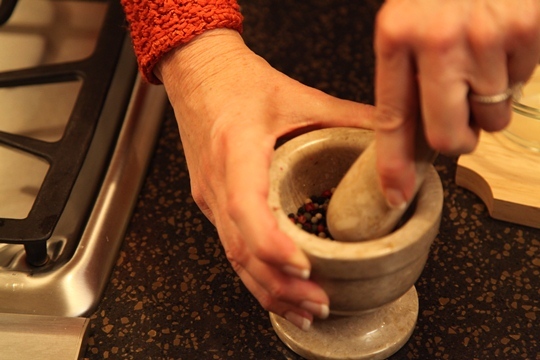 Crush the peppercorns and press well into steaks using a wooden spoon. Heat oil and butter in pan, add half the butter. When foaming, saute steaks 4 to 6 minutes on each side, depending on the thickness of the steaks and how done you like them. Add remaining butter if needed. Remove to heated platter to keep warm. Add wine, brandy and lemon juice to the drippings in the pan and bring to a boil. Season with salt and pepper. Pour the sauce over the steaks. 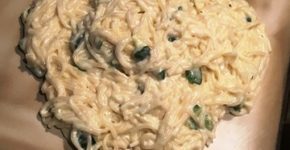 Serve at once. 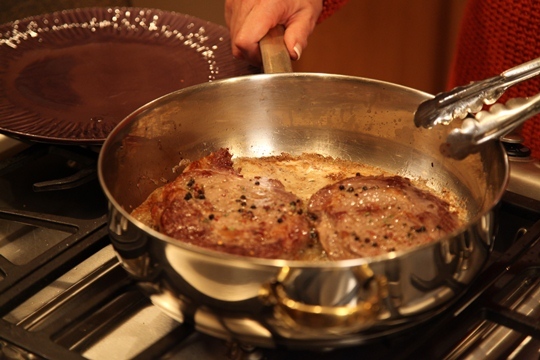 Crush the peppercorns and press well into the steaks using a wooden spoon. You can crush the peppercorns as I am doing, or put them in a Zip lock bag and pound with the flat side of a meat mallet. Heat oil in pan, add half the butter. When foaming, saute steaks 4 to 6 minutes on each side, depending on the thickness of the steaks and how well done you like them. Add remaining butter if needed. 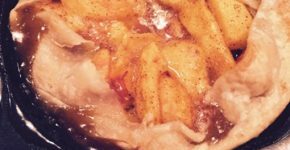 Remove to a heated dish to keep warm. Add wine, brandy and lemon juice to the pan and bring to a boil. Season with salt and pepper. Pour the sauce over the steaks. Enjoy!